Ranveer Singh is currently busy in the promotion of his upcoming film Gully Boy, where he is paired opposite Alia Bhatt. 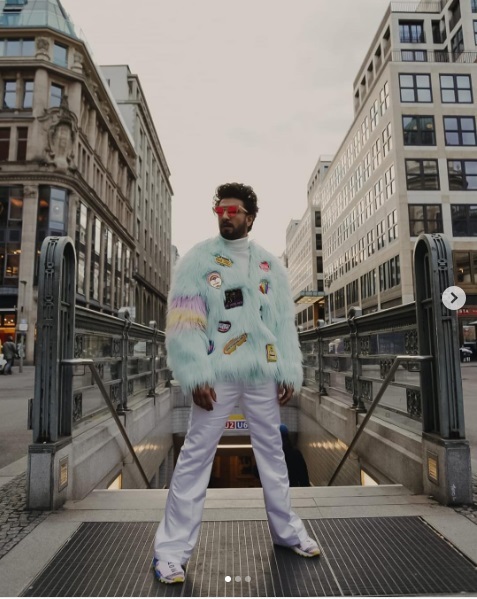 On the promotional tour of Gully Boy, he can be seen wearing some rather weird and unusual dresses, which has also gotten him trolled more than once. 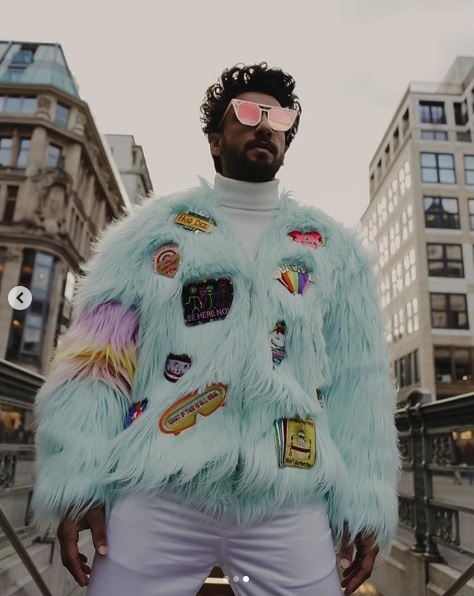 Not only fans but even his good friend Arjun Kapoor also trolled him by calling him “narangi mausambi wala” when Ranveer shared pictures of him wearing a multicolored dress. If we look at the way Ranveer carries himself, it is pretty evident that trolling from fans doesn’t affect him at all. After all, he is wearing such clothes for ages. Now, he is known for wearing some weird outfits every now and then. 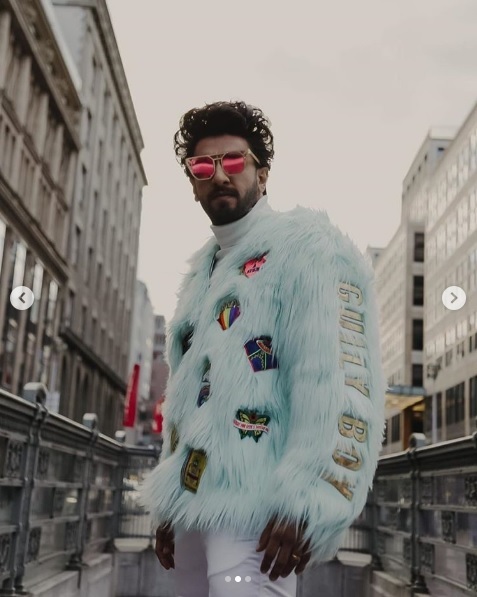 Ranveer took to Instagram to share three pictures, where he can be seen wearing a blue fur jacket customized by Manish Arora. He wore this dress at the Berlin International Film Festival 2019. One can see Gully Boy written on one of the sleeves of the jacket. First of all look at the pictures down below.